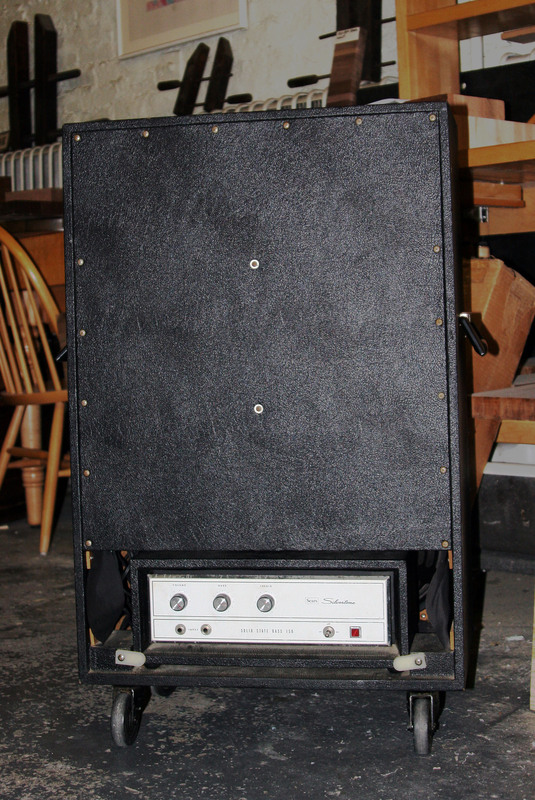 Sears Silvertone 1466 Solid State 150 bass amp. Cab is a 6×10. Keeping it very simple with just volume, bass and treble. Electronics are visible behind the front panel on the bottom, so I suppose you could actually just reach in and touch it. Seems kind of dangerous especially with on/off switch and pilot light on front panel which would have line voltage on them. Inside the chassis is a mix of point to point and PCB. 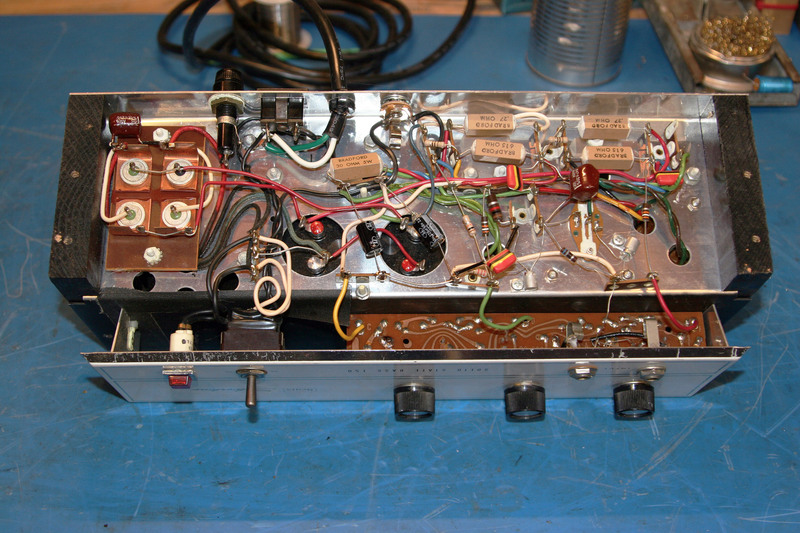 Preamp PCB is mounted to front panel and power amp and power supply are mostly hard wired. This just needed a grounded 3-prong and some mods for versatility. 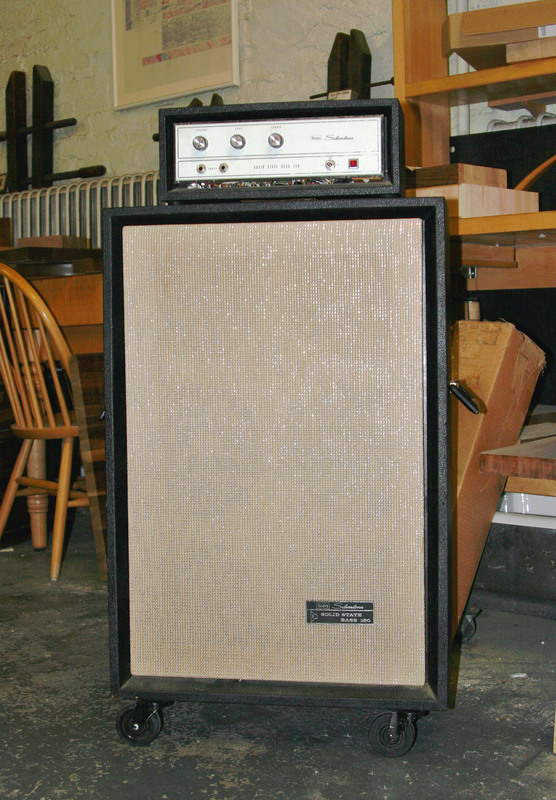 The amp comes with a speaker cable out that wires directly to the 6×10 speaker cab. The owner wanted to be able to use this head with different cabs and this cab with other amps, so I added a 1/4″ speaker out jack to the head and added a 1/4″ input jack to the speaker cable that goes to the cab. There were a few old crusty electrolytics that were replaced also. Back panel has cutout for head to fit inside. And little white stoppers that flip down so it doesn’t fall out when you move it around. 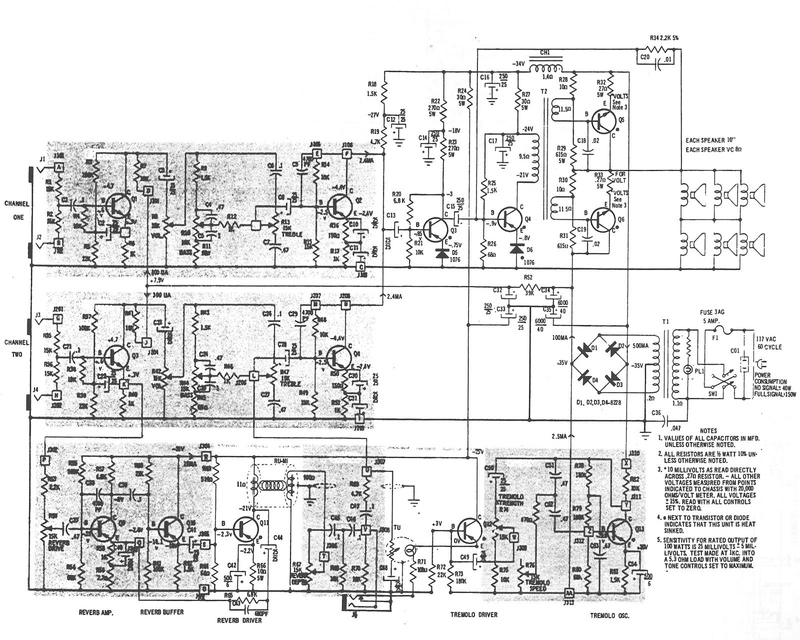 I was never able to find Silvertone 1466 schematic but I did find this 1465. It is the guitar version and has tremolo and reverb added but I would guess much of the rest of the circuit is the same.